The primary function of the Assessor's office is to assess the value of real and personal property. 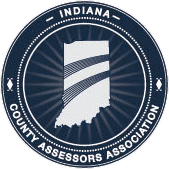 Property taxes in Indiana are collected by the local county treasurers, based on assessments that are provided by the township and county assessors. These assessments are based on guidelines and regulations set forth by state legislators and adopted by the Indiana Department of Local Government Finance. January 1, 2016 - Assessment and valuation date for all tangible property except annually assessed mobile homes under IC 6-1.1-7 (2016 pay 2017 tax bills). IC 6-1.1-1-19; IC 6-1.1-2-1.5.